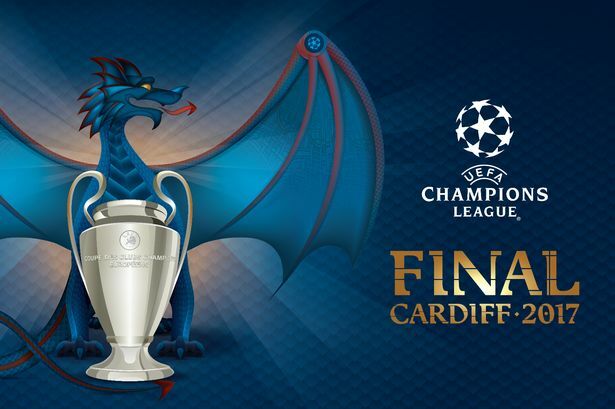 The 2017 final is a repeat of the 1998 showpiece in Amsterdam with defending champions Real Madrid aiming to be the first team in history to retain the UEFA champions league trophy since its conception in 1992. The only team to have won this prestigious title in 2 consecutive seasons is A.C Milan (1989/90). Standing in the Los Blancos way are Juventus who are seeking for their third UCL trophy having won it twice in in 1985 and 1996. As much as this match is centered around the key players of both sides, it is as well worthy to highlight the tactical battle between the two managers, their Managerial profile and how they set up their teams to play. Allegri is the more experienced of the two managers having started his managerial career back in 2003 with smaller Italian clubs. His first major highlight as a manager was in 2009 when he led Cagliari to their best ever finish in the Italian League, winning the “Panchina D’Oro” award for best serie A manager that same year. He moved from Cagliari to Milan in 2010, and in the 2010/2011 campaign, he guided Milan to their first Serie A title since 2003/2004 season. In 2014 he joined his current club Juventus and has won 3 consecutive domestic titles, 2015, 2016 and 2017. How ever, the Italian Tactician will feel that the only thing missing in his C.V is the champions league, and he will have a 2nd chance to finally clinch it having failed in his first attempt when he lost to Barcelona in the 2015 final. Allegri’s Juventus are known to have the ability to stay very solid at the back, keep possession and gaining territorial advantage. He mostly uses the 4-2-3-1 formation with Gonzalo Higuain leading the attack and Paulo Dybala sitting just behind him as the creative player while Mario Mandzukic and Cuadrado provide the width out wide. Allegri can also switch to a 3-5-2 formation especially when he is trying to hold on to a result as was seen in the last 10/15 minutes of the quarter finals against Barcelona at the Camp Nou. Zidane will be attempting to become the first ever manager to lift the UCL trophy in 2 consecutive seasons. He was appointed by Real Madrid as the assistant manager to Carlo Ancelotti in 2013. Zinedine Zidane later signed a two and half years contract to be the manager of Los Blancos following the dismissal of Rafa Benitez. He hit the ground running immediately by guiding Madrid to their 11th champions league title just 4 months into his managerial appointment when they got the better of their local rival Atletico Madrid in a penalty shootout. He has recently guided Madrid to the LA Liga title on the final day of the season where goals from Cristiano Ronaldo and Karim Benzema helped them to a 2-0 win over Malaga. Under Zinedine Zidane, Madird are considered to possess one of the most attacking threats in European football. They have notched in a total of 166 goals in all competitions. He mostly adopts the 4-3-3 formation with three attacking players upfront. He can also switch or play the 4-1-2-1-2 formation. This particular formation sees a 4-man diamond midfield set up with Casemiro as the pivot and Isco playing behind a 2-man attack of Cristiano Ronaldo and Karim Benzema, a formation which he adopted against Atletico Madrid in the 2nd leg of their semi final at the Vincente Calderon. Gonzalo Higuain: The former Real Madrid and Napoli forward has been in an excellent form this season and his 37 goals in all competitions speak volumes. The Argentine forward possesses great qualities that has turned him into one of the most fearful strikers in our modern football. He will be looking to do damage against his former employers and help deliver the first champions league for his side since 1996. Gianluigi Buffon: The veteran goalkeeper started his professional club career in 1995 with Parma. Buffon has emerged as one of the world’s best greatest goalkeepers since joining Juventus in 2001. At 39, the Italian shot stopper is still going strong and it will take something special from Real Madrid to score him. Paulo Dybala: Dybala is gradually turning into a super younger player since joining Juventus from Palermo, and the Argentine playmaker is definitely one to watch out for in the future. His 2 beautiful goals against Barcelona in the first leg of the UCL helped his side progress to the semifinals, and he is surely a player that the Real Madrid defense will have to keep an eye on. Cristiano Ronaldo, Sergio Ramos and Isco Alcaron. Cristiano Ronaldo: The Portuguese international is without a doubt one of the greatest all time players of this wonderful sport. Signed from Manchester United for a world record fee back then in 2009. Ronaldo has notched in a total of 402 goals for the Los Blancos. The 4-time Balon D’or winner will be aiming to help his side become the first team to win the UCL back to back. Sergio Raomos: Signed from Sevilla in 2005, the Spanish Centre back is one of the best centre backs in the world. Ramos is gifted with pace, good technical ability and an aggressive tackler. He is very good in the air which makes him a threat on set pieces, and the Juventus back line can’t afford to take eyes off him on set pieces. As a defender, Ramos should be proud of his goal scoring record with 61 goals in his name, a record most midfielders/wingers will be proud to have. Isco Alcaron: Isco was Real Madrid’s hero in the champions league semi final 2nd leg against Atletico. Isco was very instrumental in Los Blancos’ run to the LA Liga title. He has the playing style of Barcelona’s Andres Iniesta. Isco is very creative, has good dribbling skills and has the ability to pick out through passes for the likes of Ronaldo and Karim Benzema. He has 10 goals and 6 assists to his name in La Liga having started only 16games. Since a 2-1 loss in 2013/2014 season, Juventus are unbeaten in their last 3 meetings with Real Madrid (W1 D2). Real Madrid and Juventus will both be competing in their sixth UEFA champions league finals, equaling A.C Milan record. Juventus have won 9 and drawn 3 of their 12 games in this season’s competition, and are seeking to become the first team to lift the trophy unbeaten since Manchester United in 2007/2008. Since the UCL conception in 1992, Real Madrid have won all five of their UEFA champions league finals, a record number of wins, while Juventus have lost the finals more times than any other club (4 times).